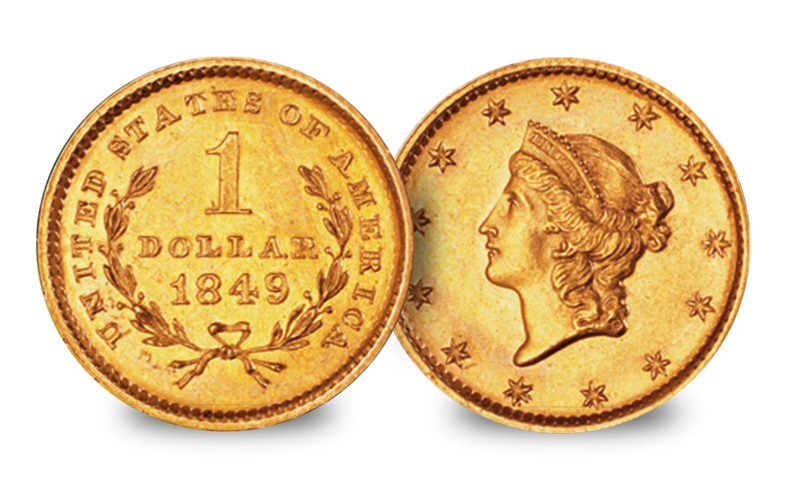 In the early 1800 during the first gold rush of the United States, a coin was born – the first ever $1 gold coin. 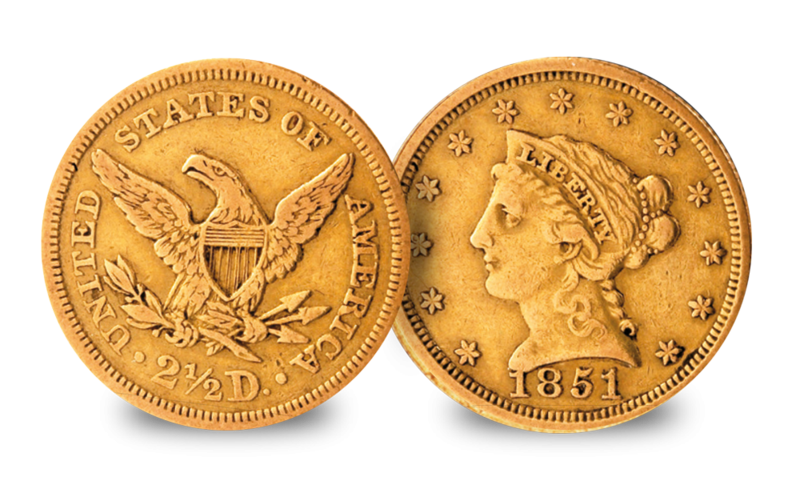 However, it wasn’t until March 1849 in the 2nd gold rush that the gold dollar entered into the rare coin market. The $1 gold coin was designed by James B. Longacre who was the U.S Mints chief engraver. With a diameter of just 13mm, all that could be depicted on the reverse are the words ‘1 DOLLAR’ along with the date and a wreath. This is surrounded by the words: ‘United States of America’. These gold dollars were extremely rare and produced for a total of six years. The Liberty Head $2.50 Gold Quarter Eagle coins were struck at several mints across the United States, which included Philadelphia, Charlotte, Dahlonega and New Orleans. These coins were also created as a result of the California gold rush – like the $1 gold coin. The main reason that both of these coins are rare is because the coins were not saved in substantial quantities, and most have been lost or melted, therefore, securing these coins allows you to be in possession of a truly remarkable piece of history.